Neka found me on Instagram. When we spoke, she mentioned that she wanted to include a milk bath with her session. I was SO excited! I just started offering this option as an add-on to my maternity portrait packages this year, so her timing was perfect. The maternity session took place at my home studio. 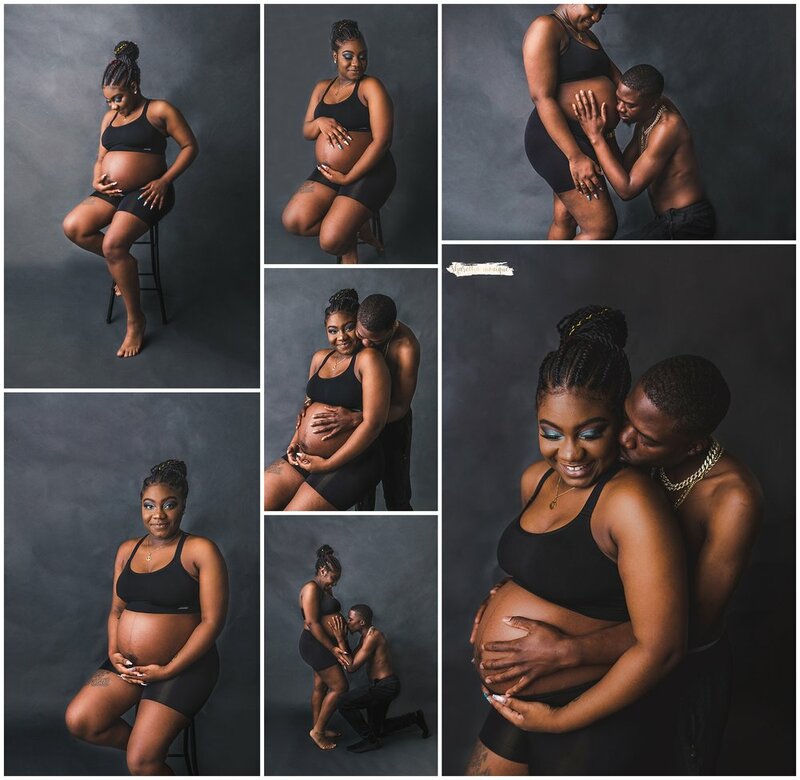 Neka wanted a simple maternity session, which is one of my specialties. We started the first half of the session with a series of posed shots with mom and dad. They were BEAUTIFUL and so easy to work with. Take a look a few of their gorgeous photos! The second half of our photo session was the milk bath. Neka told me what she planned to wear and what color flowers she wanted to include in her bath. I then chose some coordinating flower colors to bring it all together. It turned out very well! Overall, we had a great time during this photo session. Both Neka and her boyfriend were comfortable and relaxed, and so wonderful to photograph. I can’t wait until their little one arrives! If you are expecting a baby and would like to capture these special moments with a photo session, I’d love the opportunity to work with you! Send me a message today so that we can begin planning your perfect vision!